KUCHING: The Works Ministry together with the Sabah government will take on further study and evaluation on the delay in the construction of the Pan Borneo Highway project in Sabah. Works Minister Baru Bian said this immediate measure is taken following the statement by Prime Minister Tun Dr Mahathir Mohamad regarding the delay of the construction of the Pan Borneo Highway in Sabah. 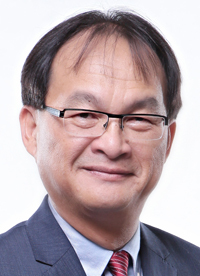 Baru, who is Selangau MP, revealed that so far, 12 work packages – where the contractors or known as work packages contractors (WPC) have been appointed – are in various stages of the construction with progress of between one to 37 per cent. “The ministry found that there are three main factors contributing to the construction delay including land acquisition, supply adequacy (construction material, manpower and construction machinery) and internal delay in payment process in resolving technical issues,” he said in a press statement today. Baru said basically, land acquisition is under the jurisdiction of the Sabah government through the Land Department and Survey (JTU) in Sabah. “Considering that land acquisition work is at large scale, JTU Sabah has put efforts into improving and speeding up the process without neglect on procedures implemented while taking into account the interests and rights of affected landowners,” he added. Baru said the huge scale of the Pan Borneo Highway project in Sabah has led to the constraints in terms of adequacy in supply of building materials, skilled and semi-skilled labour as well as construction machinery equipment. To overcome this, Baru pointed out that the government has directed the project delivery partner (PDP) to discuss and coordinate with WPC to find and recommend an alternative method so that this problem can be addressed. “Recently, the government has resolved some technical issues for payment to WPC through PDP. Thus, the delay in the payment process is expected to be avoided in the future,” he said. “For information, payments to WPC parties through PDP will only be executed once the claim is reviewed and authorised by the government,” he concluded.